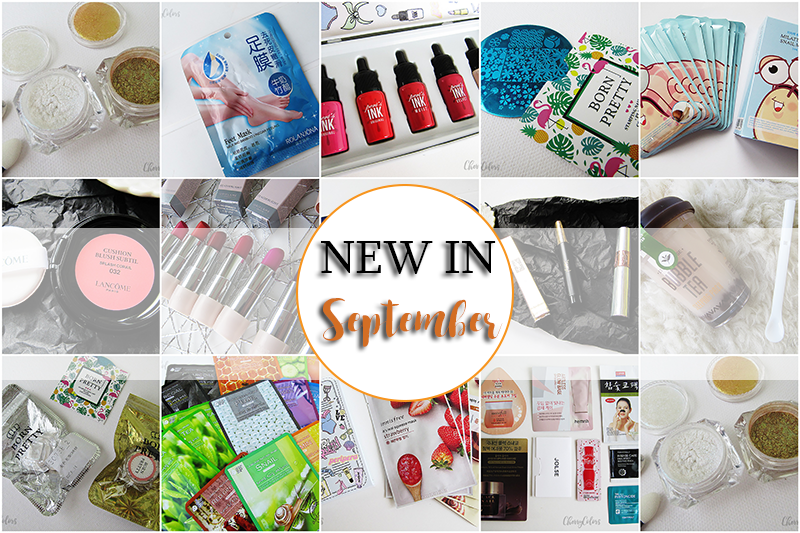 New in: September 2016 - Cherry Colors - Cosmetics Heaven! A month has passed by and it's time to share with you, my lovely readers, all the product that I got or bought during September. If you're curious what I got a month before, you can read more about it here. Products marked with a * were given or sent to me. 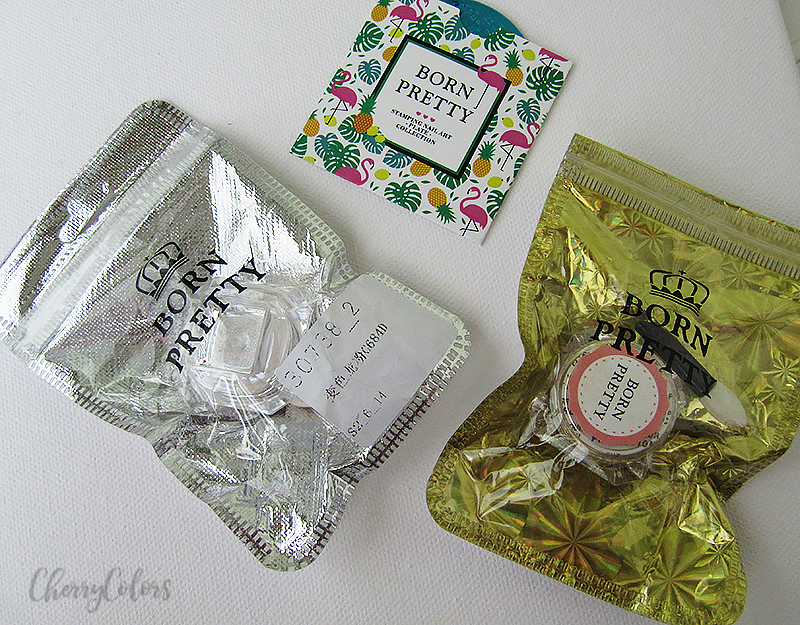 I wanted to try Chrome nails so I got myself a "starter package" from Born Pretty Store. 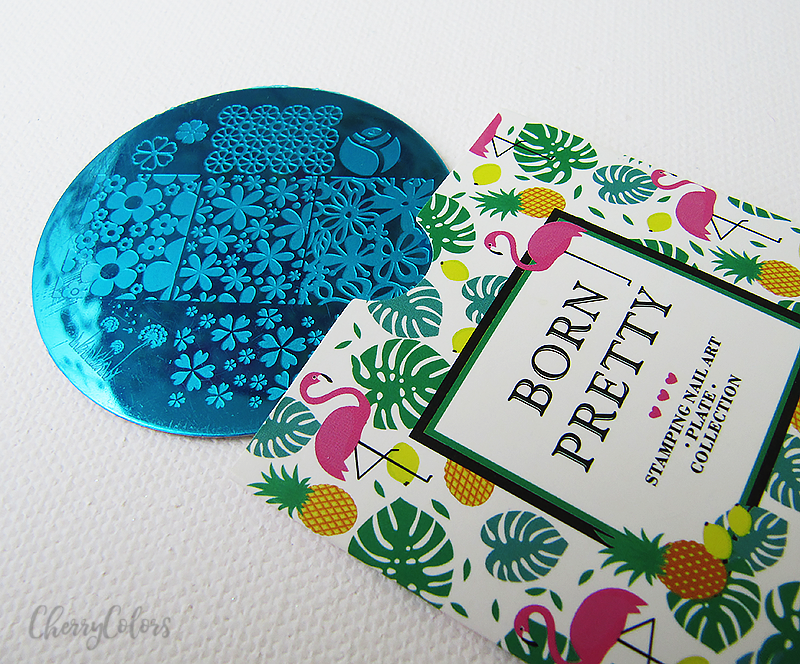 I bought two chrome powders and a stamping plate which I still need to use. 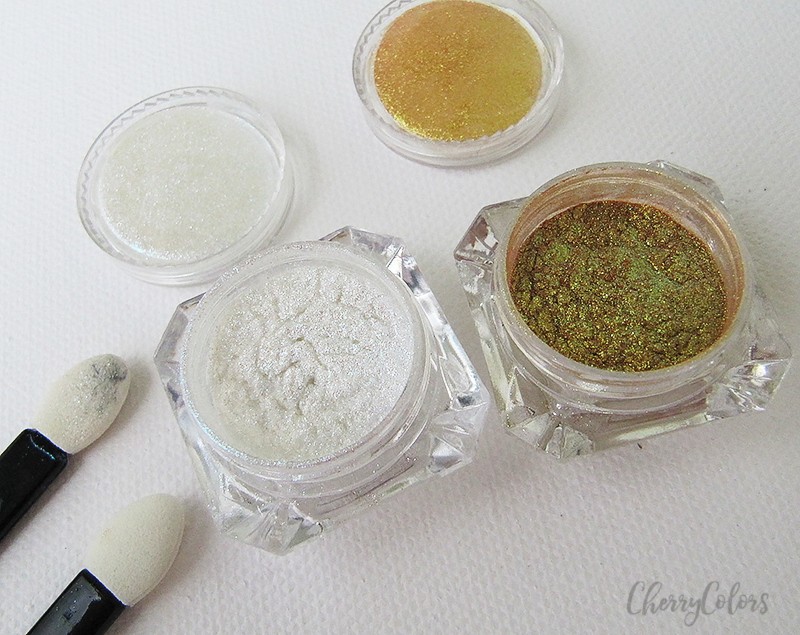 The powders look like mineral eyeshadows. But I tried using mineral eyeshadows for my chrome nails and only 1 in 5 worked. But the ones I purchase from BPS did work, so yay. 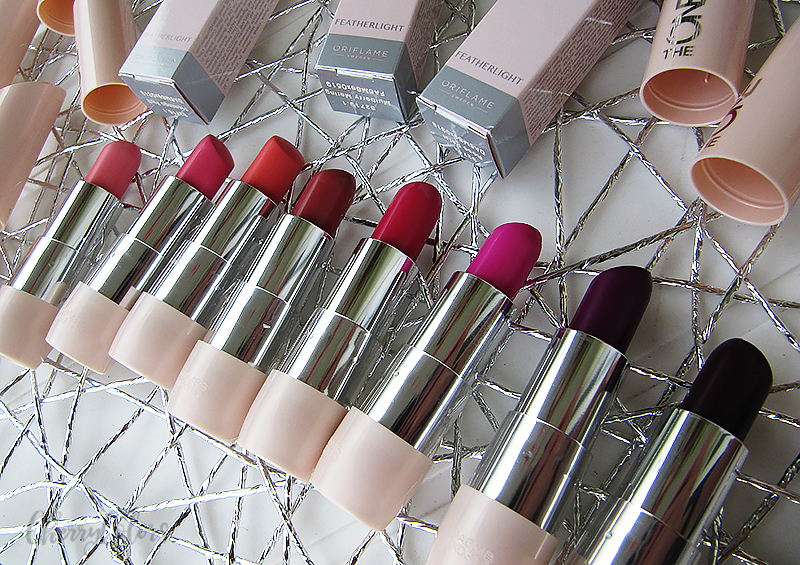 Oriflame came out with a new line Featherlight which includes *8 beautiful lip colors. And because they have an amazing PR person, I got all of them. A post will come soon. Aren't they beautiful? 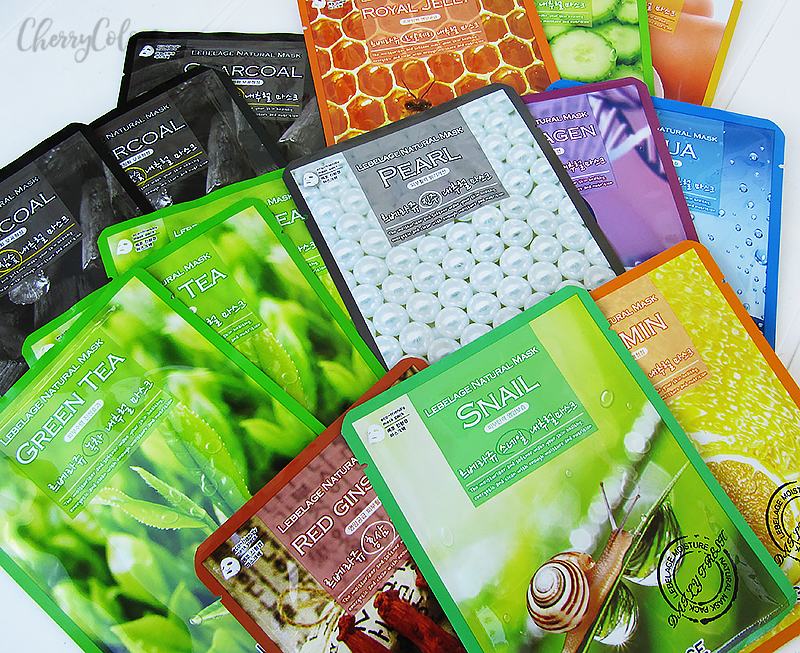 I had a period when I wanted to own more than just one or none sheet masks. So I purchased as much as I could for as cheap as I could. This is my bulk order of 15 sheet masks by Lebelage. So far I am digging them. 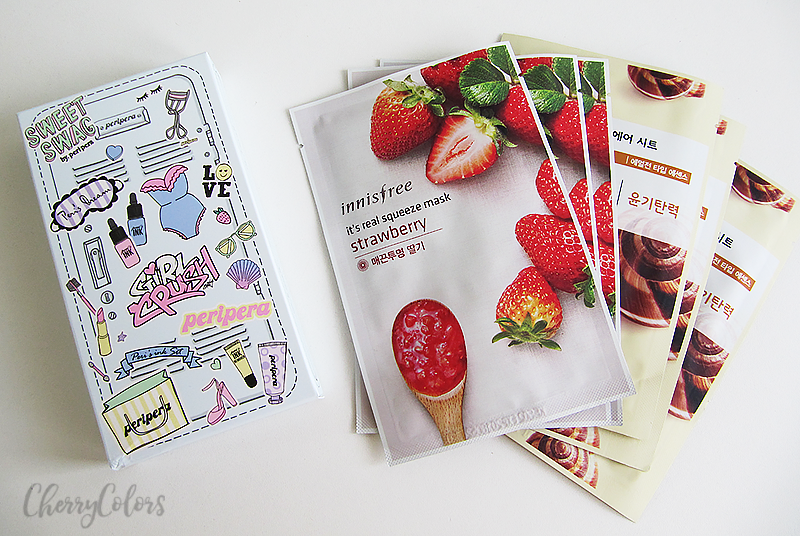 As I was still looking for Sheet masks, I spotted these by Innisfree for cheap on Jolse. And of course, when did I order only one thing from them? Well, never. So I got myself a nice set of PeriPera's lip tints. 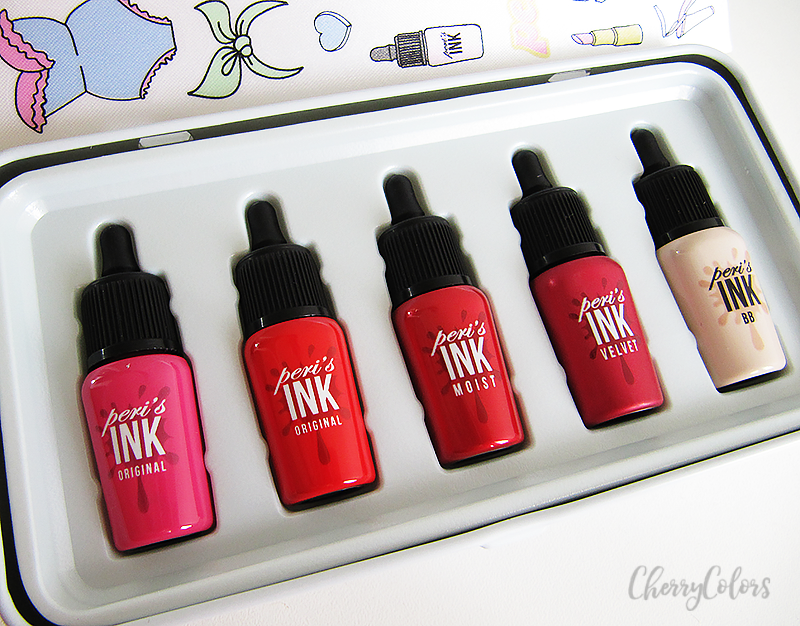 You may wonder: How do these lip tints look like? Well, they are small and cute. Cute mostly. But also the stain wears nicely. 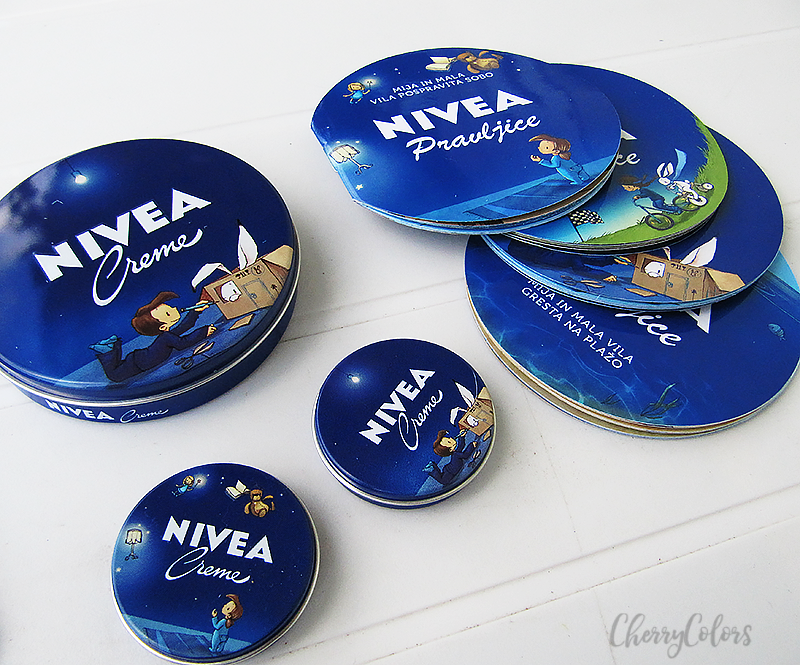 Next, I got a package from *Nivea - their classic Cream that I like to use on my kid's face when the weather is cold or when his skin gets a bit dry. Not to add extra moisture, but to keep the moisture locked in. The bonus is four small stories for kids. Mine loves them! The day when I discovered that *Nivea came out with a hairline I was lucky enough to get the package with it on my doorstep. 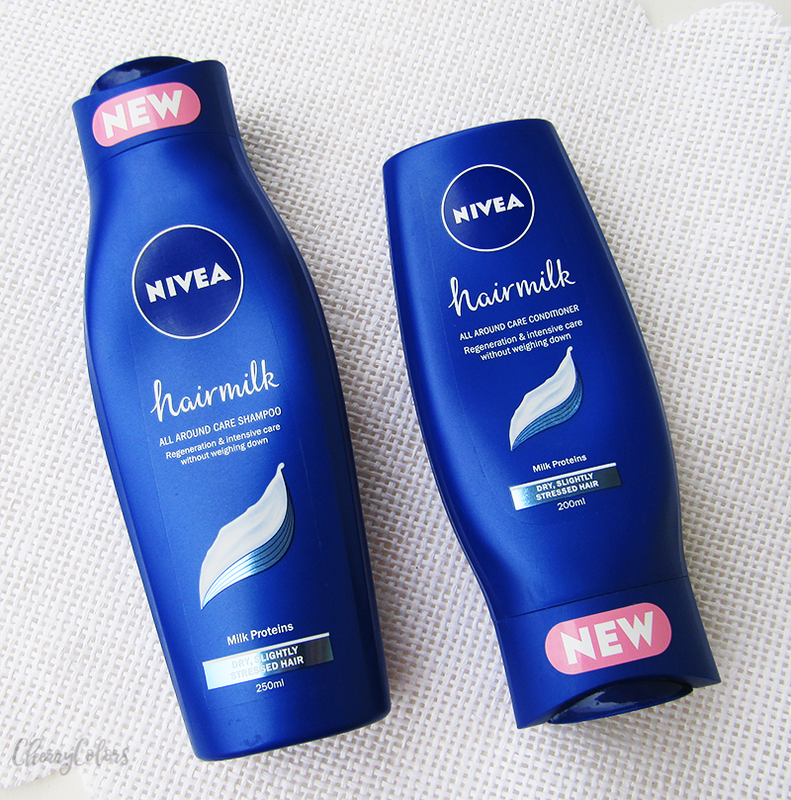 At first, I was skeptical because what, a shampoo and balm with the same Nivea scent? But my hair loves it, so I'll write a bit more about them in another post. Here and there I get some exclusive, luxurious products from the mother brand L'Oreal Luxe. 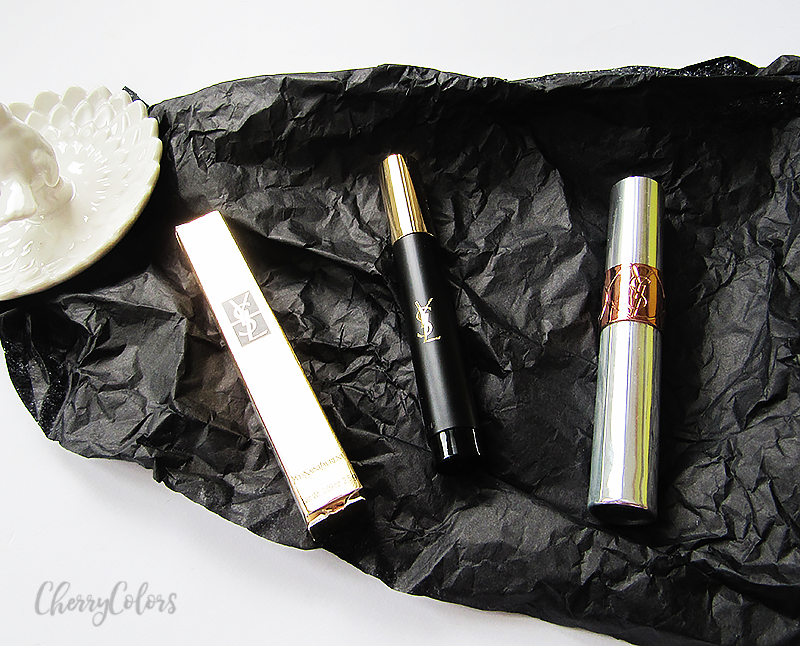 This time, I got an *Yves Saint Laurent Jumbo Eye Pen and an Oil Lip tint. 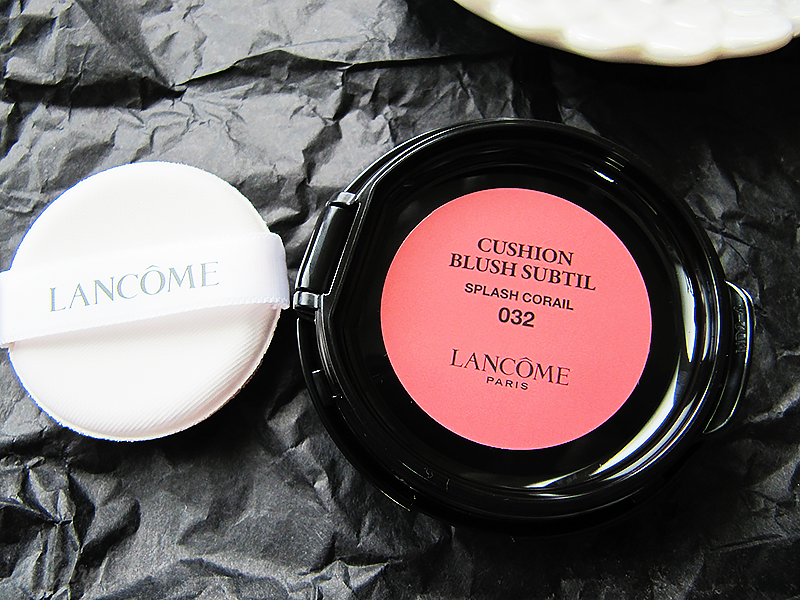 I was curious about these Cushion Blushes that I kept seeing on the Asian market, but once *Lancome came out with them, I got to try one in Splash Corail 032. 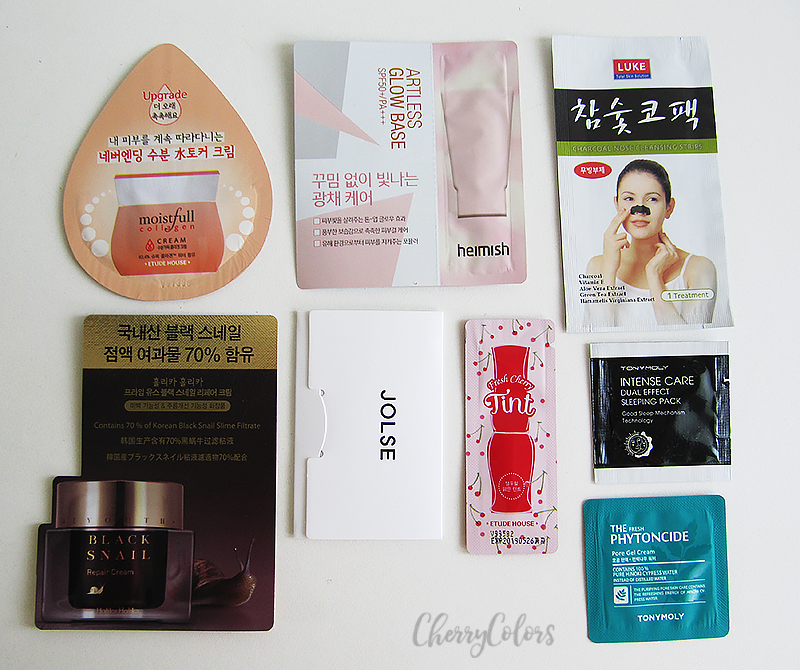 And as the last thing are some samples that I got with one of my Jolse's orders. Of course, they're not exactly all the samples I got since I got about three orders from them in. But they are the samples that I remember to take pictures of. Which product got your attention and you'd like me to review it ASAP?